Pendley Farms is a small family owned business started in order to better utilize part of our property in a profitable small farm venture. We hoped to provide an opportunity for our two sons to learn about hard work, responsibility, and to enjoy working outside as well as to provide an alternative avenue for various youth fund raisers in our area. Blueberries provide many healthful benefits and do not require complete 24/7 365 day a year care. We have also planted approximately 650 Daylilies to complement the Blueberry sales. Stella de Oro Daylilies provide a beautiful display of color all summer long and require little care. 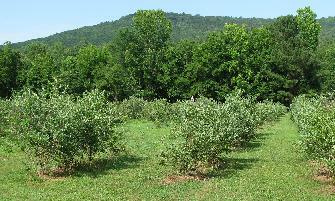 In the Fall of 2005 we started clearing approximately 3 acres for the Blueberry Farm. This completely transformed a previously wooded unusable portion of property to a world of dirt and sticks. We discovered a low portion on the property and we also found a good number of unexpected inhabitants of crawfish. 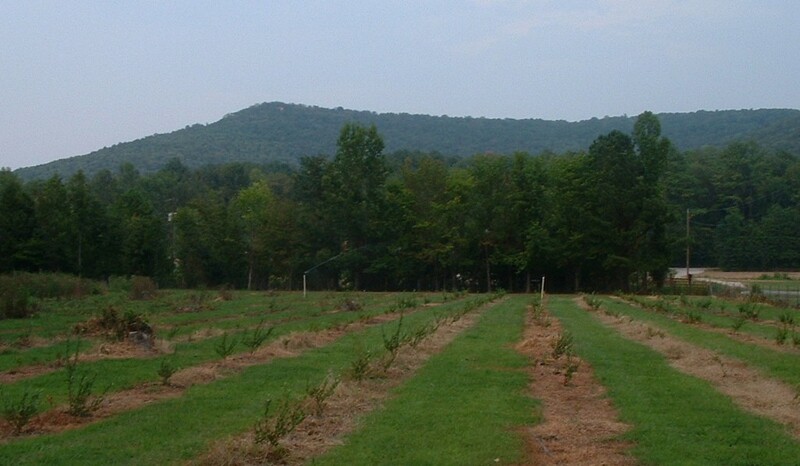 During Spring Break in March 2006, we planted 19 rows of Blueberry plants in 100 yard columns. This equated to over 1000 Blueberry plants. 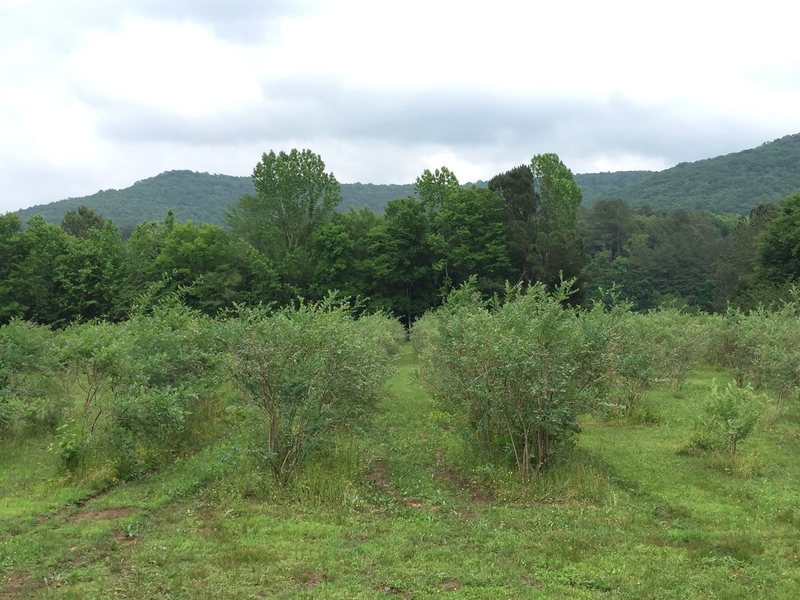 After a lot of team work, the four of us had created what would become Pendley Farms first Blueberry field. The local deer found the new salad bar of Blueberry plants very tasty. The Summer of 2006 was very dry and we spent many days "wishing for rain". We watered from the pond until it went dry, we pumped water out of the nearby creek until it went dry, and we watered from our house spigot until it finally started to rain. We began to realize what hard life farmers of all kinds have at the mercy of Mother Nature. During the Fall and Winter of 2006/2007 we continued mulching and weeding our seedling plants. There was an unexpected freeze in April 2007 that killed all the blooms on our new plants, but the plants survived to face the drought of the Summer of 2007. We now have a well to keep the plants watered and that has helped save them from this "driest summer in recent memory". In May 2008, we conducted a successful Daylily Fundraiser with Brewer High School Band Boosters. We dug, packaged and delivered the orders in time for Mother's Day delivery to customers. Once we had our assembly line in place, it was even fun. In June of 2008, we started picking Blueberries for the first time. This was a learning experience and once the berries started ripening, we had new berries ready to pick almost every day until the first week in August! During the Fall and Winter of 2008/2009 we divided daylilly plants, planted some 'fill-in' blueberry plants, and continued to upgrade our property. In May 2009, we conducted another successful Daylily Fundraiser with Brewer High School Band Boosters. Once again we dug, packaged and delivered the orders in time for Mother's Day delivery to customers. The set-up of our assembly line was much easier since we had done this before. We also placed the assembly line in the shade which helped tremendously! In mid-June of 2009, we started picking Blueberries again. Our blueberry production doubled from 2008. We found out that once you have learned how to pick blueberries, it comes right back to you. We were able to capitalize on our previous year's experience and pick more efficiently in a hurry. Once the berries started ripening, we had new berries ready to pick almost every day until mid-July! We had so many berries this year that we sold a couple of Saturdays at the Arab Farmers Market on the corner of Second Street and Main Street in Arab, AL. We also had more ripe berries at once than we could pick so we had several 'Invited You-Pick-It' evenings this year. The extra hands helped us harvest the berries before the birds could eat them. A few comments from customers: 'It was a lot of fun to come pick as a family. '; 'It was Great to be able to pick in the shade of the early evening. It is so peaceful here. '; and 'These are BIG PRETTY blueberries!'. In May 2010, we conducted our third successful Daylily Fundraiser with Brewer High School Band Boosters and delivered the orders once again in time for Mother's Day delivery to customers. This is a very easy fundraiser for an organization, we do all the work and packaging and they get the orders and deliver. In June 2010, we had our third crop of Blueberries. What a year! Our production more than quadrupled from the year before. The rain that northern Alabama enjoyed in the spring helped contribute to this abundance. It was a lot of work trying to keep up with the ripe berries every day from mid-June until mid-August, but at times it was even fun. We once again had several 'Invited You-Pick-It' evenings. This may be the picking of the future for Pendley Farms. There are just more berries than four pickers can keep up with. The extra hands and customers helped a lot. In mid-June 2011, harvest number four began. This summer was plagued by the cicadas (13 year cycle), Japanese beetles and the birds. This is the first year we really had an issue with the birds getting more than their fair share. We are guessing that the bugs and the beetles must have lured them more to our field. We persevered and still had an abundant harvest with more "Invited You Pick It" sessions in the evenings. In May 2012, we conducted our fourth successful Daylily Fundraiser with Brewer High School Band Boosters and delivered the orders once again in time for Mother's Day delivery to customers. We appreciate the Brewer Band and its customers for their loyal participation in this fundraiser. In mid-May 2012, harvest number five started about a month earlier than previous years due to early hot and dry conditions. The blueberries were available to pick until late July. This summer ended in very dry conditions and in spite of watering all night many nights, numerous berries still dried up on the bushes and then fell to the ground. Nevertheless, we had a great harvest with close to one thousand pounds picked to include having five "Invited You Pick-It" evenings. In mid-June 2013, harvest number six started and then promptly ended within four weeks. This was our shortest picking season yet but we harvested almost the same as in the summer of 2012 and we hosted seven "Invited You Pick-It" evenings. The berries all got ready at the same time. This year we sold some blueberries at St Thomas Episcopal Church Farmer's Market in Huntsville, AL and we enjoyed participating in this market in southeast Huntsville. Remember: "Buy Local" and enjoy all the benefits of farm fresh produce. c.	you cannot freeze wet blueberries without them freezing all together in a clump and when thawed, the taste is diminished. In 2014 we harvested our greatest total to date (over 1,300 lbs) for our harvest number seven. Once again we increased the number of our "pick your owns" hosting twelve events and we enjoyed selling out each time we were at the St. Thomas Episcopal Church Farmer's Market on Bailey Cove. We are planning toward expansion as we are pursuing additional acreage and anticipating Earl enjoying more time as a farmer in the summer of 2015. We are looking forward to this year's crop of Blueberries in the Summer!